Will Smith missed out on an Oscar nomination for his role as a whistle-blowing immigrant doctor in fact-based sports drama Concussion – much to the disgust of wife Jada Pinkett Smith and many #OscarsSoWhite tweeters. It’s by no means the finest performance of his career, but, dodgy African accent aside, he’s solidly convincing as Nigerian-born neuropathologist Dr Bennet Omalu, the man who first revealed the grievous damage a lifetime of head-pounding collisions did to American football players. Unsurprisingly, his discovery of CTE (chronic traumatic encephalopathy) didn’t go down well with the multi-billion-dollar National Football League, which pulled out all the stops to discredit his findings. When it focuses on this David versus Goliath narrative, writer-director Peter Landesman’s film is genuinely gripping and stirring, with striking supporting turns by Alec Baldwin, Albert Brooks and David Morse as figures caught up in one way or another in Omalu’s struggle. But the film proves shakier when it tries to shoehorn elements of love story and thriller into its overstretched plot. Omalu’s romance with the young Kenyan woman who became his wife, Prema Mutiso (an underused Gugu Mbatha-Raw), feels sketchy, while scenes of shadowy stalkers seem to belong to a different movie entirely. 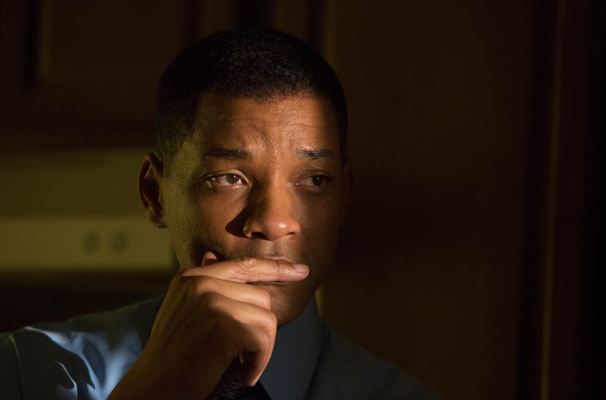 Concussion is available on Blu-ray, DVD & Digital HD from Sony Pictures Home Entertainment.